Wi-Fi / NFC connectivity* makes it easy to transfer photo and movie files to a paired smartphone for uploading onto cloud storage or to social media. With NFC, all you need to do is tap the paired smartphone and the camera together to initiate file transfer via Wi-Fi. Compatibility with Bluetooth low energy** provides a low-powered, constant connection to the smartphone, allowing remote shooting and instant switching to Wi-Fi connection when needed without any re-configuration***. The EOS 6D Mark II also features a GPS logging function that enables you to geotag images (including Coordinated Universal Time as well as geographic information), which comes in handy not just for keeping a record of shooting locations (whether it&apos;s for work or purely for recollecting fond memories) but also for organizing images by location. 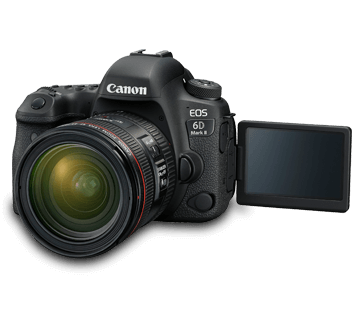 *Bluetooth, Wi-Fi and NFC connectivity with the camera requires Canon&apos;s dedicated application, Camera Connect, available for download free-of-charge from the App Store and Google Play. * Number of available AF points, Dual cross-type AF points, and Cross-type AF points vary depending on the lens used. * Dual cross-type focusing at f/2.8 with center AF point when Group A (of the AF groups) lenses are used. 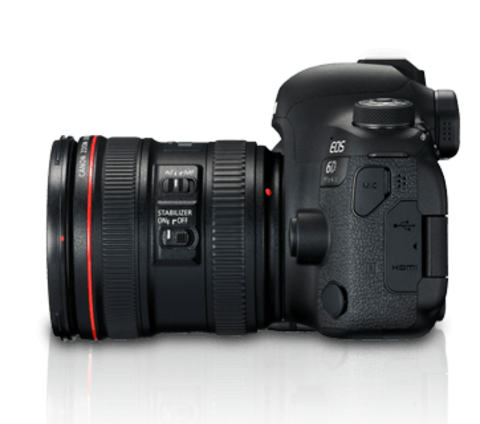 P, Tv, Av, M, B: ISO Auto, ISO 100 - ISO 40000 manual setting (in 1/3- or whole-stop increments), and expansion to L (equivalent to ISO 50), H1 (equivalent to ISO 51200), H2 (equivalent to ISO 102400) provided. * With highlight tone priority set, the minimum limit will be ISO 200. 1/4000sec. to 30secs. 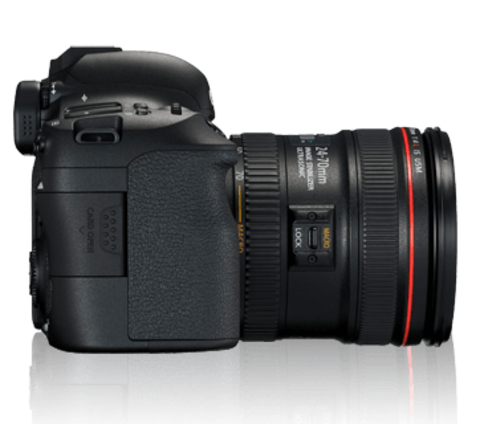 (total shutter speed range; available range varies by shooting mode), Bulb, X-sync at 1/180sec. * The continuous shooting speed decreases during Antiflicker shooting, during Live View shooting with Servo AF, or during Live View shooting with an external Speedlite. * The continuous shooting speed decreases during Live View shooting with an external Speedlite. * During Panning mode in viewfinder shooting: Max. approx. 4.3 shots/sec., in Live View shooting: Max. approx. 2.7 shots/sec. (at 1/30 sec. shutter speed, with maximum aperture). 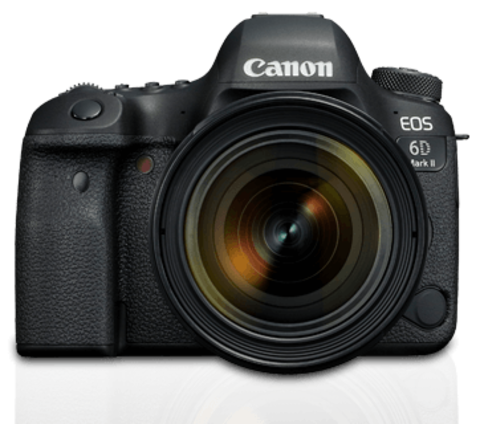 * Based on Canon&apos;s standard testing SD card (Standard: 8 GB, High-speed: 16 GB, UHS-I compatible) and standard testing conditions (High-speed continuous shooting, ISO 100, Standard Picture Style). 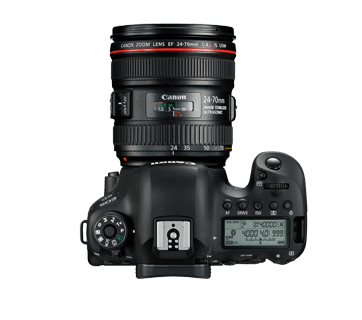 * Figures in parentheses are the number of shots when a Canon&apos;s standard testing UHS-I SD card is used. * With movie Servo AF, the subject tracking and AF speed are settable. Automatically set within ISO 100 - ISO 40000, maximum limit settable within ISO 6400 - H2 (equivalent to ISO 102400). * The settable range is different for time-lapse movie shooting. Settable to 2secs. / 4secs. / 8secs. Movie recording quality (4K, Full HD), Shooting interval (hr., min., sec. 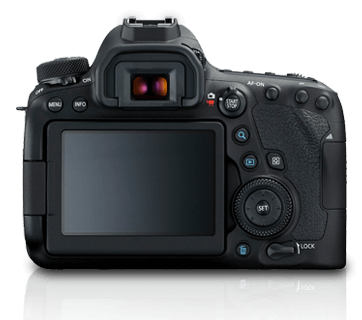 ), Number of shots, Auto exposure (Fixed 1st frame, Each frame), LCD auto off, and Beep at the time of shooting are settable. All images or images matching the search conditions are played back automatically. Images can be sent to and saved on Connect Station. 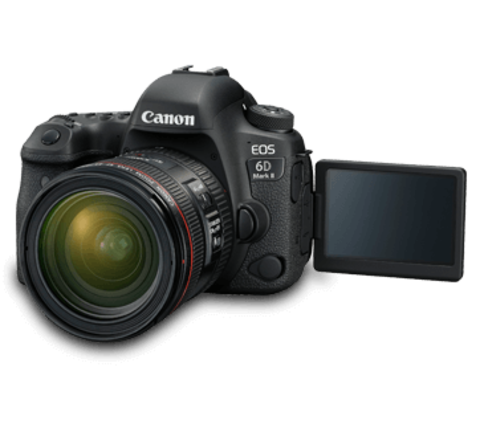 Remote control functions and image viewing functions of EOS Utility can be used wirelessly. Images can be sent to a Wi-Fi printer. 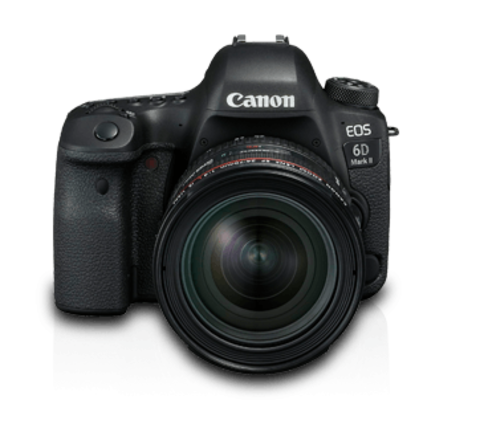 Images in the camera or links to images can be sent to registered Web services. 1sec., 5sec., 10sec., 15sec., 30sec., 1min., 2min., 5min. * Change in time zone creates another file. * The log data saved in internal memory can be transferred to a card or downloaded to a computer as a log file. * AC power usable with household power outlet accessories. 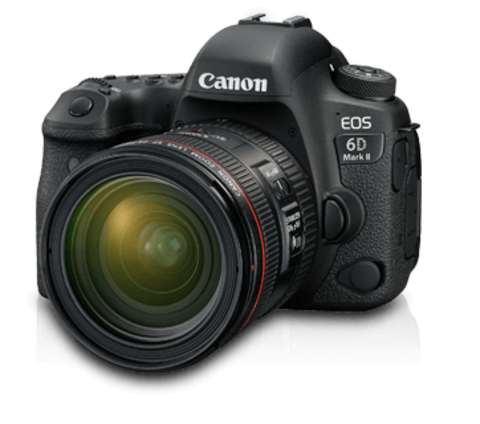 * With a fully-charged Battery Pack LP-E6N, Movie Servo AF disabled, and Full HD 29.97p / 25.00p / 23.98p Standard (IPB) set. Approx. 144.0 x 110.5 x 74.8mm / 5.67 x 4.35 x 2.94in. Approx. 38.4 x 21.0 x 56.8mm / 1.5 x 0.8 x 2.2in. Approx. 69.0 x 33.0 x 93.0mm / 2.7 x 1.3 x 3.7in. 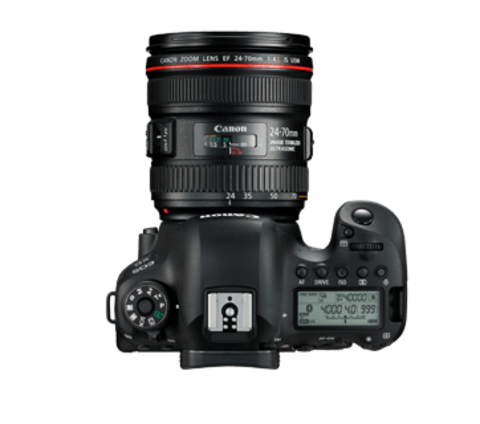 All the data above is based on Canon&apos;s testing standards and CIPA (Camera & Imaging Products Association) testing standards and guidelines. Dimensions, maximum diameter, length and weight listed above are based on CIPA Guidelines (except weight for camera body only). Product specifications and the exterior are subject to change without notice.